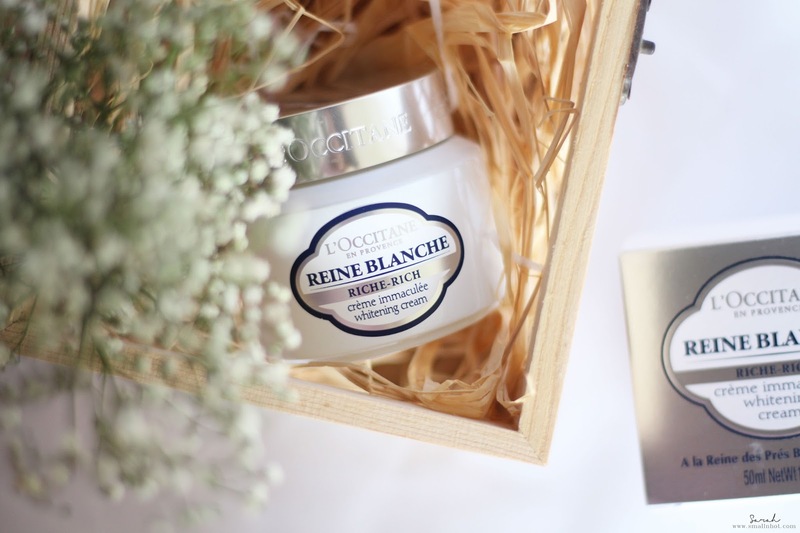 L'OCCITANE Reine Blanche Whitening Rich Cream - Getting a Thumbs Up ? Face cream is quite an important step in your skincare routine, whether you have dry or oily skin, the face cream step should never be missed. 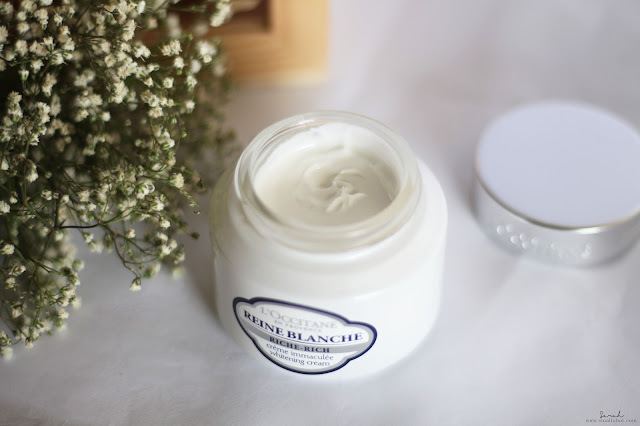 Usually I opt for hydrating creams but noticing the uneven skin tones on my face these days has lead to a search of new products, and here's my test run with the Reine Blanche Whitening Rich Cream by L'OCCITANE after a month I thought it was time to update you whether this face cream is worth a THUMBS UP ? You'll LIKE it if you have dry and uneven skin tone. You'll HATE it if you have oily skin. 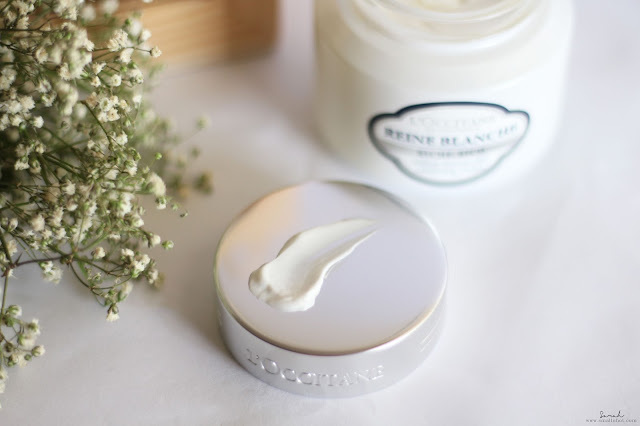 This whitening rich cream is creamy as suggested by it's name. 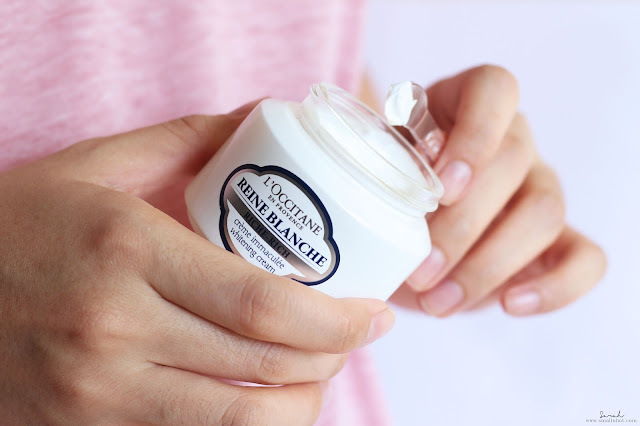 It's like an all-rounder for me because it provides all the moisture my skin needs as well as "evening" out my skin tone. Every morning and night I go in with a pea size amount for my whole face. Trust me, the texture is very rich as compared to the Reine Blanche Whitening Cream, so a little goes a long way. Then spend a minute to massage the products into your face and it will leave your skin feeling like you've given it a glass of water, literally. Although, the appearance of brighter skin it not immediate but I was able to see that my skin was much more brighter and less dull about 2 weeks of using it, which is an acceptable time-frame for skincare.